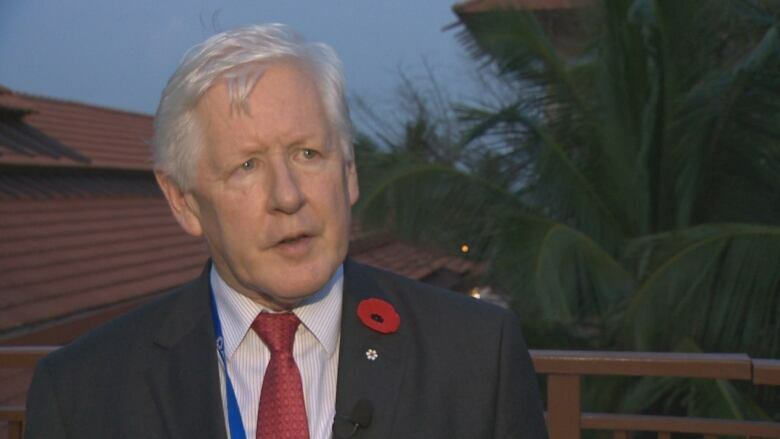 Prime Minister Justin Trudeau and his special envoy to Myanmar, Bob Rae, met with Myanmar leader Aung San Suu Kyi on Friday, before the start of APEC trade talks in Da Nang, Vietnam. "From my point of view that was extremely important for her to hear, directly from Canada's prime minister. I think it was also important for us to hear her out," Rae told reporters. "From her perspective, she's doing what she can in a difficult circumstance. I think it's fair to say that we feel that more needs to be done and more could be done." The former Ontario premier and interim Liberal leader says resolutions will be raised at the United Nations General Assembly, the main policy-making body of the UN. "These are not judgments that are unique to Canada, we're not alone in raising these questions," Rae said. The meeting comes as Myanmar faces allegations of large-scale human rights abuses against the Rohingya Muslim minority population in the predominately Buddhist nation. Suu Kyi, a Nobel Laureate and an honorary Canadian citizen, has been criticized for not speaking out against the violence aimed at Rohingya Muslims in her country, which the UN calls ethnic cleansing. 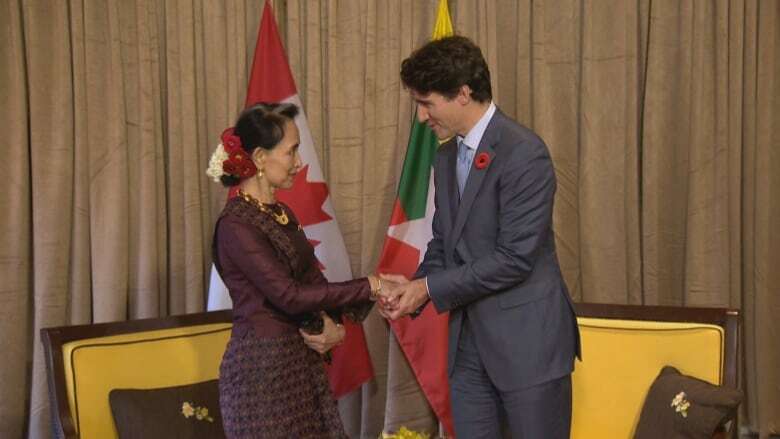 Trudeau spoke to Suu Kyi in September amid questions about her leadership at a time when many were accusing the country's military of carrying out ethnic cleansing against this long-persecuted group. During that call, Trudeau "stressed the particular importance of the state counsellor as a moral and political leader," according to a readout. Last month, Trudeau announced Rae would visit Myanmar on a fact-finding mission and report back on what role Canada can play in ending the humanitarian crises in the Southeast Asian country.